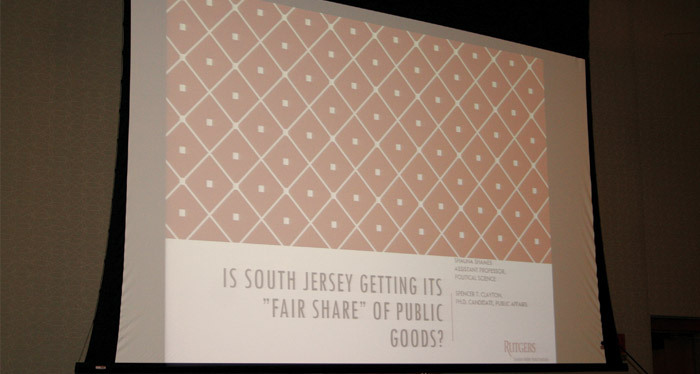 Is South Jersey Getting its ‘Fair Share’ of Public Goods? WRI Faculty Fellow Shauna Shames presents and makes her new report available to the public. 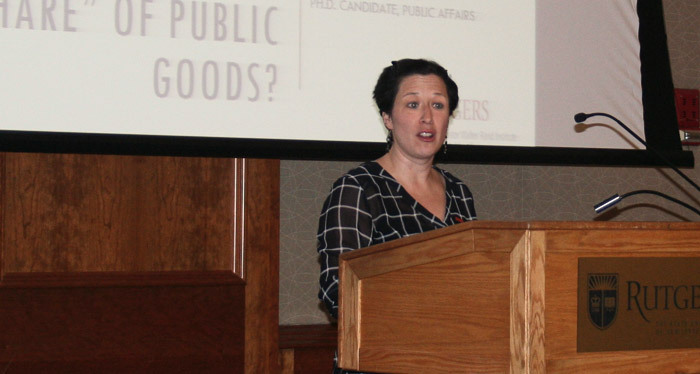 Assistant Professor of Political Science, Shauna Shames, PhD, shares her findings on the distribution of public goods across New Jersey. Over 70 people from across the region attended the event. 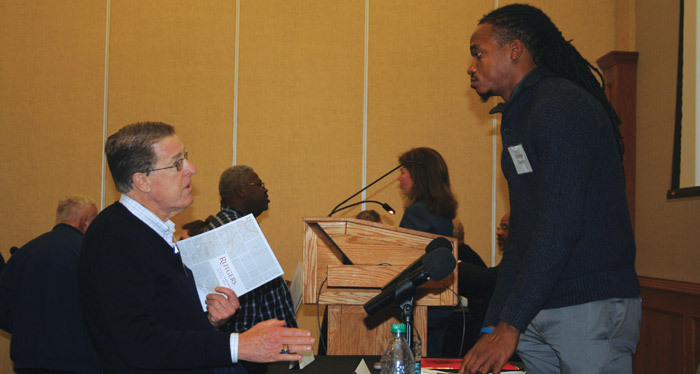 After presenting their research, Professor Shames and Graduate Assistant Spencer T. Clayton responded to questions from attendees alongside representatives from the public and private sectors. 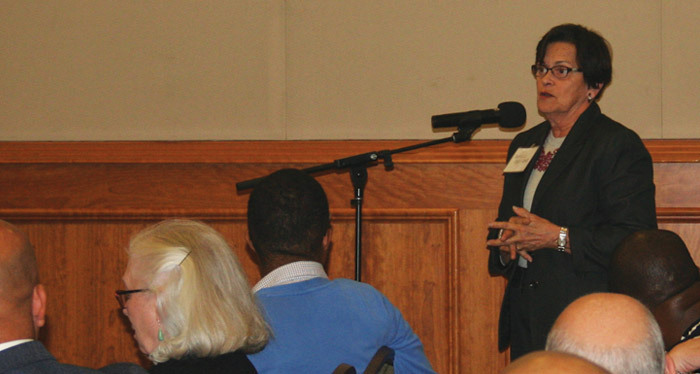 Gwendolyn Harris Ph.D, guides the room in thinking about the implications of Professor Shames’ report. WRI made sure attendees had ample opportunity to engage directly with the researchers and panelists on issues of immediate importance. 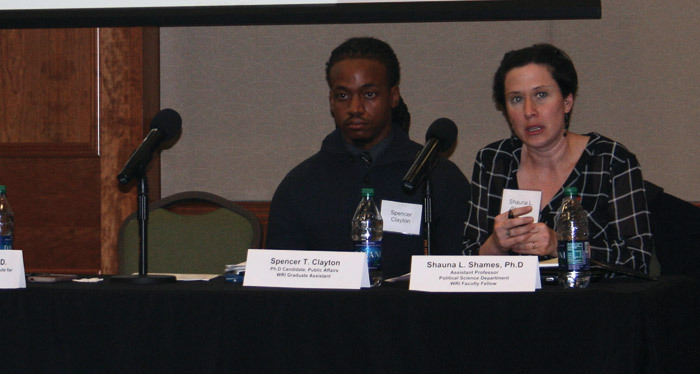 On December 6th, 2016 WRI Faculty Fellow Shauna Shames, in collaboration with Graduate Assistant and Ph.D candidate Spencer T. Clayton presented findings from their report. 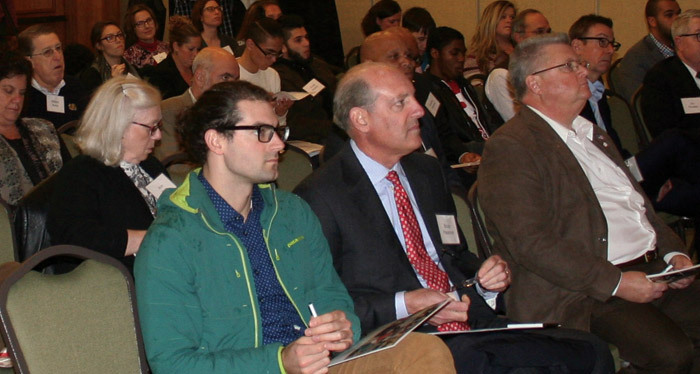 Over 70 people attended the Walter Rand Institute for Public Affairs’ Forum About South Jersey to learn more about the allocation of public goods in New Jersey. 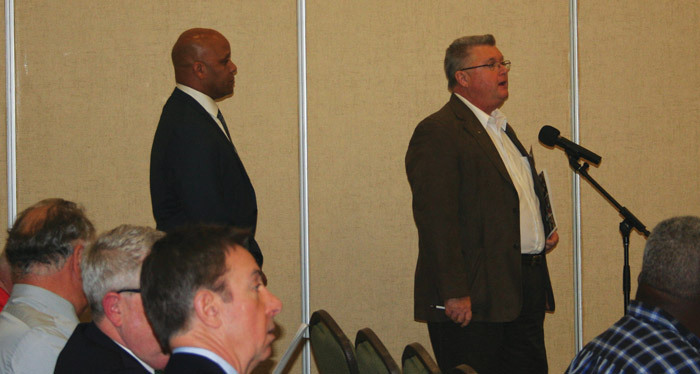 It has long been speculated that South Jersey, in comparison to the Central and Northern regions of the State, does not receive a representative share of public funding when one considers population size and taxable property value. 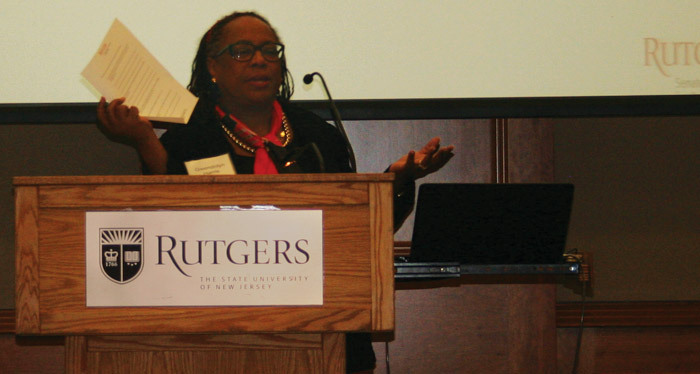 Professor Shames’ and Clayton’s study controlled for both these factors and determined that South Jersey does, in fact, receive disproportionately less, “…public goods, either as state aid, state assumption of project costs within the county, or general public benefits like transportation infrastructure, education, and good public health,” than the rest of the state. Forum attendees listened attentively to the presenters’ key findings as well as a response panel of experts which included: Collen Maguire, Executive Director, Pascale Sykes Foundation; Albert Kelly, Mayor of Bridgeton, NJ, CEO, Gateway Community Action Partnership, Inc.; and Christine Caruso, Deputy Director-Division of Local Government Services, Department of Community Affairs, State of New Jersey. The panelist provided feedback on the report’s findings and addressed how funding disparities influence their decision making. The full report, presentation, and the data-set compiled by the researchers are available on WRI’s website and a collection of articles covering Professor Shames’ findings can be found online as well. Page last updated by Senator Walter Rand Institute for Public Affairs at 9:43 am August 22, 2017 . This page was printed from http://rand.camden.rutgers.edu/2016/12/13/fair-share-recap/ at 4:05 PM Monday, April 22, 2019.